"Fiona is extremely professional and a very patient teacher! Thank you, I really enjoyed the session." There is always an opportunity for jewellery to tell a story. Why not tell yours today. A gift voucher from Jewellery Moves makes a perfect gift for a loved on. Gift voucher values start from £25; get in touch for more details. 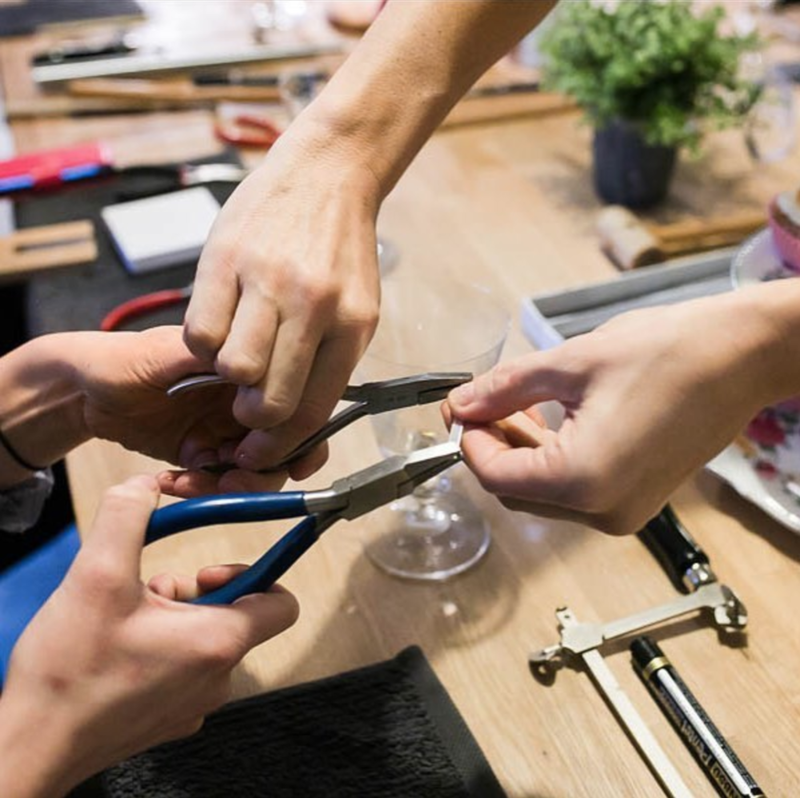 At a Jewellery Moves workshop you can learn traditional craftsmanship, jewellery skills and techniques in small groups in a relaxed atmosphere. Taking place at various venues throughout Hampshire, Wiltshire and Berkshire. Completely mobile workshops, so they can come to you - all you need is a table. Watch my video to discover what makes a Jewellery Moves workshop so special. Sign up with your email address to receive the latest news and events from Jewellery Moves.